Seven of the top Atom 'AAA' teams from across the province will be vying for the Nova Scotia Atom 'AAA' provincial title at the New Waterford & District Community Centre this weekend. Joining the host New Waterford Sharks at this year's provincial event are the South Shore Ice Sharks, TASA Ducks, Truro Bearcats, East Hants Penguins, Cape Breton West Screaming Eagles and Sydney Steelers. Action got underway yesterday, Thursday, with four games on the schedule. Score results were not available at press time. The host New Waterford Sharks finished in second place in the Cape Breton Hockey League with a record of 15 wins, nine losses and four ties. The Sharks were third in the Cape Breton league in goals for (96), and allowed the fewest goals against (81). The team is led by forward Carter Brown, who recorded 45 points during the season. The South Shore Ice Sharks wrapped up their regular season in second place in the Nova Scotia Mainland Hockey League with a record of 13 wins, eight losses and three ties. 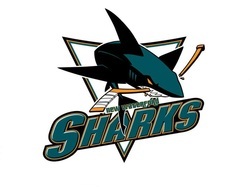 The Ice Sharks were second in their league in goals for (109) and second in goals against (89). South Shore advanced to the provincial championship with a 7-6 double overtime victory over the Truro Bearcats in the championship game of the league's qualifying tournament to claim the Mainland Hockey League title. The TASA Ducks, who are the defending Atom 'AAA' provincial champions, finished their regular season in first place in the Central Minor Hockey League with an impressive record of 20 wins, one loss and three ties. In the 24-game regular season, TASA finished first in the league in goals for (82) and allowed the fewest goals against (24). The Ducks advanced to the provincial championship posting an undefeated record of six wins and no losses in their league playoffs. The Truro Physio One Bearcats finished in first place in the five-team Nova Scotia Mainland Hockey League with a record of 19 wins, three losses and two ties. The Bearcats finished the 24-game regular season first in goals for (132) and allowed the fewest goals against (73). Truro advanced to the provincial championship defeating the Antigonish Bulldogs in the semi-finals of the Mainland Hockey League's qualifying tournament in New Glasgow. The East Hants Penguins finished in second place in the seven-team Central Minor Hockey League with a record of 15 wins, five losses and four ties, along with finishing third in goals for (63) and second in goals against (40). The Penguins secured their spot in this year's provincial championship defeating the Halifax Hawks 5-3 in their league playoffs. The Cape Breton West Screaming Eagles wrapped up their 28-game regular season in third place in the Cape Breton Hockey League with a record of 13 wins, 10 losses and five ties. The Screaming Eagles finished second in the league in goals for (110) and second in goals against (93). Cape Breton West advanced to the provincial final with a 5-4 overtime win against the Glace Bay Miners, however were defeated 6-5 in double overtime against Sydney in the Cape Breton Hockey League final. The Sydney Steelers finished the regular season in first place in the Cape Breton Hockey League with a record of 18 wins, seven losses and three ties. In the 28-game regular season, Sydney finished first in goals for (159) and third in goals against (112). The Steelers claimed the Cape Breton Hockey League title, defeating the Cape Breton West Screaming Eagles 6-5 in double overtime. Provincial action resumes today, Friday, at 8:00 a.m. with Truro versus South Shore, followed by East Hants versus Cape Breton West at 10:00 a.m., New Waterford versus Sydney at 12:00 p.m., TASA versus South Shore at 2:00 p.m., Cape Breton West versus Truro at 4:00 p.m., East Hants versus Sydney at 6:00 p.m., and New Waterford versus TASA at 8:00 p.m. The New Waterford Sharks will look to be the host with the most when they challenge seven of the top Atom 'AAA' teams from across the province for this year's Nova Scotia Atom 'AAA' provincial title this weekend. The Sharks, who were named the host team in December, finished in second place in the Cape Breton Atom 'AAA' Hockey League with a record of 15 wins, nine losses and four ties. In the 28-game regular season, New Waterford was third in the league in goals for (96), along with allowing the fewest goals against (81). "We are not going to put any expectations on our players this weekend," said Kenny Baldwin, Sharks head coach. "We only ask that they come out and work hard every game. This is a pretty big deal for them, so I hope they have a fun and memorable weekend." Baldwin said he doesn't believe his team has any extra pressure on them to win, but to have a good showing in front of the home fans. "I don’t think there is pressure to win, but to have a good showing," said Baldwin. "We would like to make our town proud by competing hard in each game." The Sharks opened the provincial tournament yesterday, Thursday, against the Cape Breton West Screaming Eagles, however score results were not available at press time. New Waterford returns to the ice today, Friday, at 12:00 p.m. when they face the Sydney Steelers, and 8:00 p.m. against the TASA Ducks. The Sharks wrap up the provincial round robin on Saturday at 4:00 p.m. against the South Shore Ice Sharks. As of press time, Baldwin said he expects that both his goaltenders will get a chance between the pipes today, Friday.
" We haven’t decided who will start in goal against Sydney and TASA," said Baldwin. " I would think both goalies will get a chance to play today." The provincial semi-finals and championship games take place on Sunday at 8:30 a.m., 10:30 a.m. and 2:00 p.m., respectively. Ticket prices for the event range from $15.00 (tournament pass), and $5.00 (day pass), while children under eight attend for free. Opening Ceremonies following 4pm game. With this year's Nova Scotia Atom 'AAA' Provincial Championship starting on Thursday, the host New Waterford Sharks are asking the community to show their support. The team is asking the residents of New Waterford and surrounding area, who plan on attending the provincial championship, to wear green to their games in support of their provincial title quest. The Sharks, who finished second in the Cape Breton Atom 'AAA' Hockey League, open the provincial championship on Thursday at 6:00 p.m. against the Cape Breton West Screaming Eagles. New Waterford also plays on Friday, March 28th, at 12:00 p.m. against the Sydney Steelers and 8:00 p.m. against the TASA Ducks, before wrapping up the round robin on Saturday, March 29th, at 4:00 p.m. against the South Shore Sharks. Residents are encouraged to join the tournaments official page by searching 2014 Nova Scotia Atom 'AAA' Provincial Championship on Facebook, while following the tournaments Twitter account @NSProvincialAAA. The Nova Scotia Atom 'AAA' Provincial Championship runs from Thursday, March 27th to Sunday, March 30th at the New Waterford & District Community Center.